Heat oven to 375°F. Lightly spray 16 regular-size muffin cups with cooking spray. Unroll each can of dough. To make 2 large rectangles, pinch seams and perforations to seal. Cut each rectangle of dough into 8 equal squares. 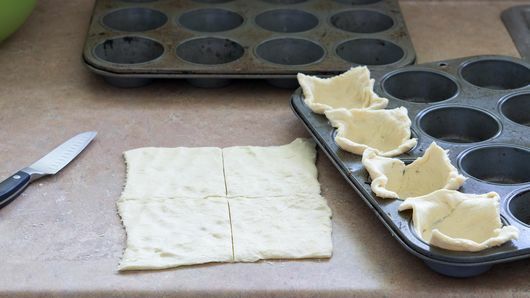 Line each muffin cup by pressing 1 dough square in bottom and up sides of cup. In large bowl, stir together soup, milk, Worcestershire sauce and dash ground black pepper with whisk until smooth. 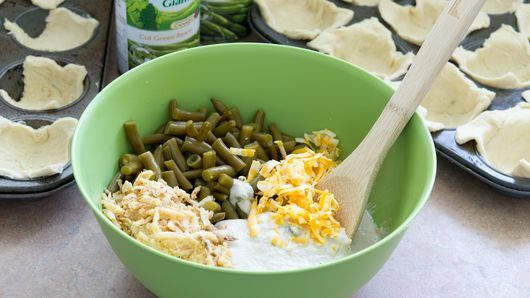 Add drained green beans, 1/2 cup of the cheese and 2/3 cup of the onions; gently stir until combined. Divide mixture evenly among dough-lined cups. Bake 12 to 15 minutes. Remove from oven. Divide remaining cheese and onions evenly onto tops of cups. Return to oven; bake 5 minutes longer or until onions and cups are golden brown. Cool in pans 5 minutes. Remove from cups; serve warm. 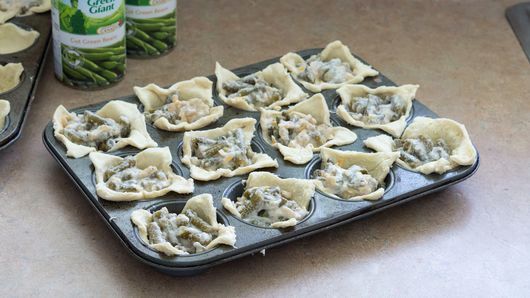 You can also use frozen cut green beans. Simply cook and drain before adding them to the soup mixture. 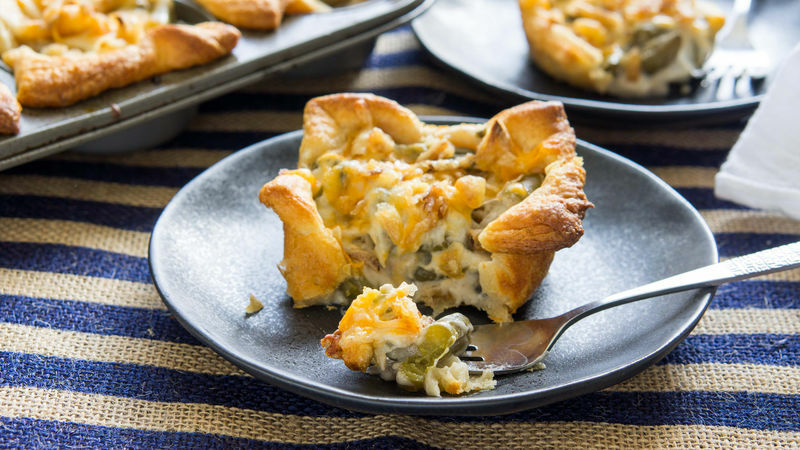 This recipe can easily be doubled to make the perfect amount for your dinner guests.